Dr. Barbara Pillsbury age 69 of Malibu, CA and Washington, DC, passed away on September 27, 2012, surrounded by her family. Dr. Pillsbury was a cultural and medical anthropologist who worked for more than 25 years in international development, women’s health and public health, specializing eventually in reproductive and sexual health and rights. Click here to read her latest report, Child Spacing & Family Planning in South Sudan: Knowledge, Attitudes, Practices, and Unmet Need. Born and raised in Bemidji, MN, she attended the U of MN receiving a B.S. in home economics with a journalism minor, earned a M.A. in applied linguistics from Columbia University Teachers College and a Ph.D. in 1973 in cultural anthropology from Columbia University where she studied with renowned anthropologist Margaret Mead. Her doctoral dissertation on Muslim Chinese was a pioneering study that remains the basis for the work of later scholars in the field. Barbara learned to speak fluent Chinese and combined that skill with her knowledge of Muslim societies and cultures, gleaned from her days at the American University in Cairo. Her career in cultural and medical anthropology spanned the globe, taking her to 100 countries, where she worked tirelessly to make the world a better place, through groundbreaking research and policy recommendations on women’s health and family planning issues in developing countries. Dr. Pillsbury left a profound contribution as a visionary leader in the areas of international development, reproductive and sexual health, HIV/AIDS education, child survival, and global gender issues. Never one to be left out of a conversation, Barbara learned thirteen languages, with a particular love for Chinese and Swedish. 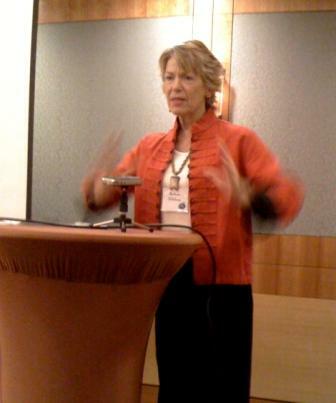 Dr. Pillsbury helped found a total of six organizations (most notably the Pacific Institute for Women’s Health) and has served on numerous boards of directors, including the American Anthropological Association, the Global Health Council, and the International Women’s Health Coalition. She worked in A sia and Africa, and held positions with many governmental and non-governmental organizations, including WHO, UNFPA, UNICEF, USAID, the World Bank, International Planned Parenthood Federation, and the Rockefeller, Hewlett, Ford, Gates and Compton foundations. She leaves behind two daughters, Heather Milne (David) Cristman of Cincinnati, OH, and Kristina Milne of New York City, NY, plus many relatives, friends and professional colleagues. A life celebration for family and close friends will be held at the Minnesota Humanities Center in Saint Paul, MN on Sunday, 2:00 p.m., October 7, followed by a life celebration in Malibu, California at a later date. Memorials are preferred to The Molly Gingerich Fund (301-670-0994) or the SHARE Institute, two organizations that help young women around the globe.